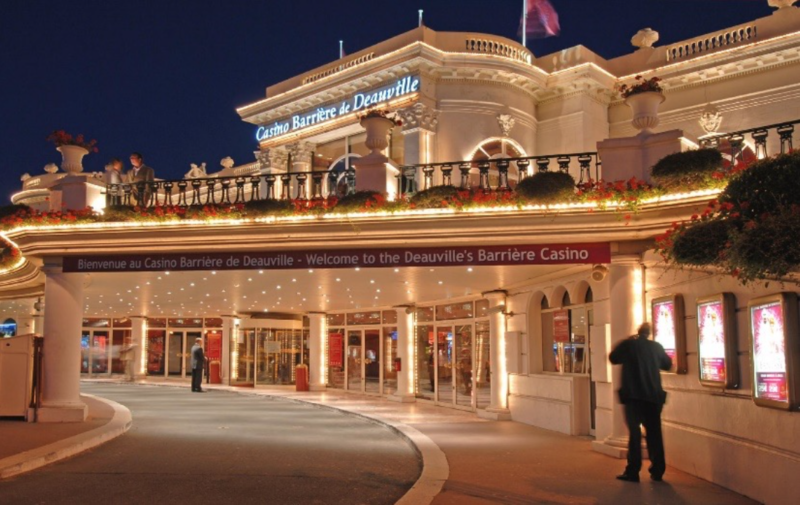 London (September 12, 2016) – World Poker Tour® and Barrière Group today announced a two-year deal for PMU.fr WPT National Deauville to be hosted at the beautiful Casino Barrière Deauville. The first PMU.fr WPT National Deauville festival will begin on Dec. 6, 2016, with a second festival to be held in 2017. Featuring a buy-in of €1,200, the Main Event will start on Dec. 8 inside the magnificent Salle des Ambassadeurs at Casino Barrière Deauville. In addition to the €1,200 Main Event, the PMU.fr WPT National Deauville festival will feature a €2,000 High Roller amongst its offerings. PMU.fr will run qualifiers for the Main Event twice a week starting Wednesday, Sept. 14. Well known for the Deauville American Film Festival, Deauville has hosted celebrities from across the globe. Its luxurious setting, just a short walking distance from the beach and harbor, is a perfect place to relax and find inspiration. Whether it’s a delicious meal at one of the chic brasseries, a shopping-filled outing at one of the luxury boutiques, or a walk on Les Planches along the beach, PMU.fr WPT National Deauville is set to provide an unforgettable experience. As Deauville counts most of Normandy’s hotels and resorts as part of the Barrière Group, players will be able to enjoy a unique experience just a minute’s walk from the casino. Special discounted rates can be found at hotels Le Royal and Le Normandy. For more information on the PMU.fr WPT National Deauville, visit the event page on WPT.com. Founded in 1912 by François André, the Group has grown over the years under the successive stewardships of Lucien Barrière, Diane Barrière-Desseigne and Dominique Desseigne to become France’s leading casino operator, a standard-setter in the luxury hotel sector and a global player in the leisure and entertainment sectors. Barrière has designed unrivalled offers in the field of high-end leisure, founded on a commitment to operational excellence, service quality and French art de vivre. The Group today operates 34 Casinos Barrière (including one opening soon in Abidjan), 17 Hôtels Barrière (a majority are 5-star, including one under construction in Courchevel) and more than 120 restaurants and bars, including the famous Fouquet’s in Paris (with branches in Marrakesh, Cannes, Toulouse and La Baule). It also stages more than 3000 shows and events every year. With nearly 7000 employees, the Group posted earnings of €1.21 bn for the financial year to 31st October 2015. Barrière has an excellent reputation in the catering industry and serves more than 2 million meals each year. With thirteen spas (in Cannes, Courchevel, Deauville, Dinard, Enghien-les-Bains, La Baule, Lille, Le Touquet, Marrakesh, Paris, Ribeauvillé), one thalassotherapy centre in La Baule, one balneotherapy centre in Ribeauvillé, three golf and two tennis clubs (with more than 32 clay courts), Barrière is also an established name in the well-being and sport sector. The Group is well known for its chain of resorts located in internationally-renowned tourist destinations. World Poker Tour (WPT) is the premier name in internationally televised gaming and entertainment with brand presence in land-based tournaments, television, online, and mobile. Leading innovation in the sport of poker since 2002, WPT ignited the global poker boom with the creation of a unique television show based on a series of high-stakes poker tournaments. WPT has broadcast globally in more than 150 countries and territories, and is currently producing its 15th season, which airs on FSN in the United States. Season XV of WPT is sponsored by ClubWPT.com, a unique online membership site that offers inside access to the WPT, as well as a sweepstakes-based poker club available in 35 states across the United States. ClubWPT.com also sponsors Season 3 of the WPT Alpha8 series of super-high roller poker tournaments which airs on FOX Sports 1 in the United States. WPT also participates in strategic brand license, partnership, and sponsorship opportunities. WPT Enterprises Inc. is a subsidiary of Ourgame International Holdings, Ltd. For more information, go to WPT.com.